This morning, I am laughing about this DailyKos piece suggesting that Kansas State University officials are in a rage about the football Coach Bill Snyder "endorsement." Yesterday, the Pat Roberts' campaign unveiled an ad showing a not-all-that-ringing Snyder endorsement of Roberts. In the ad, someone off camera appears to ask who Snyder will vote for, and the coach responds that he's voting for Roberts, his friend, who Snyder says is the best we can do in Kansas. I actually laughed when I saw the ad, because it's so not a ringing endorsement. When the Snyder ad was first released, I was as surprised as anyone else that the famed football coach was taking such a stance. (And just for a moment, while we're on the topic, I think it's unbelievably unwise to make heroes of people for things like winning football games. ahem. Joe Paterno. I don't for a minute believe that Snyder is Joe Pa, but lionizing football coaches is just not smart.) Anyway, back to it -- I was surprised to see Snyder, who to my knowledge has never publicly endorsed anyone, essentially stumping for his friend, Pat Roberts. But that advertisement was no accident. Anyone who watches ESPN's College GameDay can tell you that Snyder is probably the most difficult coach in all of college football to interview. He keeps his thoughts, his game plans, injuries, everything close to the vest. Snyder is famously cautious about which athletes he allows to talk to the media. If you're one of Snyder's players, you either learn to say what Snyder wants you to say in an interview, or you are never put in front of a camera. 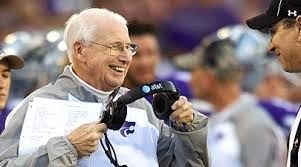 Bill Snyder is not some doddering old man caught unaware. He's savvy. When someone has a camera in his face asking for whom he'll vote, Snyder knows that information will get out. He knows it will land on YouTube. You'll note, the DailyKos "article" said university officials requested that the ad be removed. Snyder didn't make the request, and he has been unavailable for comment. If Snyder wanted it gone, the ad would be gone. For its part, the university sent a letter and Sue Peterson, KSU lobbyist, to request that the ad be withdrawn, and the university also issued a statement essentially reiterating Kansas Board of Regents policy which says, "Employees do not speak for the university when they endorse candidates. Employees should also avoid using their university affiliation in any endorsements or statements." And while we're on the topic of the board of regents, there appears to be a (teeny, tiny) Twitter campaign to get Snyder fired. (Bwahahahhaha.) For what it's worth, the regent policy clearly says "individuals are free to express opinions speaking or writing as individuals in support of or in opposition...," blah, blah, blah. The ad itself doesn't say Kansas State University. It simply calls him Coach Bill Snyder. The viewer has to try to guess just what it is Snyder coaches and where he does it. Snyder is wearing a suit -- not even a Wildcat lapel pin -- and there's one photo of Roberts and Snyder together, in which the Powercat on Roberts' jacket is blurred. Other than that, nary a stitch of purple. A thinking person can and should assume that Snyder knew exactly what he was doing when he made that not-exactly-ringing endorsement. His carefully crafted, off-hand appearing statement, allowed the university and Snyder to take cover when the "controversy" erupted. That may be one reason the endorsement was released so close to Election Day. Call it a late, positive October surprise for the Roberts' campaign. This will all blow over very, very soon. 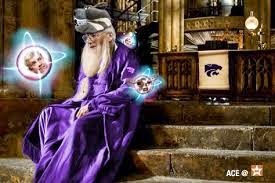 Many sports writers call Snyder a football wizard. 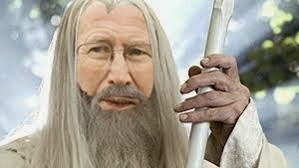 I would safely call him a public relations wizard, too. The coach managed to make an endorsement in a way that gave himself and the university cover. If liberals want to bathe in faux outrage over the issue, then by all means, stew in it. And if they need to believe that Snyder is a doddering old man who made a mistake just chatting to some young Republican in a parking lot, well, I'm sure Snyder doesn't mind being underestimated.